iDream Jewelry offers the option of buying varieties of matching jewelries for couples. It also provides safe and secure online shopping experience to the buyers. From time immemorial, couples have been expressing their love, commitment and affection towards each other through gifting different types of matching jewelries. In order to continue this trend, many online stores are now selling designer matching jewelries for couples. iDream Jewelry is one such firm which is offering exclusive collection of matching jewelries for couples. Here customers can easily search for their desired products either typing any specific keyword or browsing the category options in its home page. They can also sort products on the basis of prices, stones, colors, finish, style, item metal and so on. 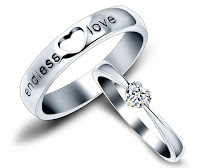 In this online store, many different types of promise rings for couples can be purchased at a reasonable price. These rings are suitable for those couples who are not prepared for an engagement but are ready to proceed with their commitment to the next level. Various designs of such couple rings are available in this e-commerce site and are mainly made of sterling silver. The site also provides many useful suggestions for measuring the finger size before placing order for such rings. There is no better way of showing true love and commitment other than offering his and hers jewelry which includes varieties of matching necklaces, wedding bands, engagement rings and so on. Here users can also find varieties of matching bracelets of various shapes and price. These bracelets mainly act as the reminder of moments which the couple can cherish collectively for a long duration in their life. This online store thoroughly protects the private information of the users and never shares them with unauthorized sources. Customers need to pay the full payment in advance at the time of placing order. There is no fixed minimum order quantity and so users can place order on any amount of product. This commercial site mainly accepts payment through PayPal and Western Union. The site uses the shipping option of Air Mail and International Expedited Express. It also offers free engraving service and provides varieties of designer engraving options for the customers to select for their tungsten jewelry. The site offers 7 day money back guarantee for the products that are in new condition and 15 day return policy for defective products. For receiving the refund, customers have to mail their order to its address along with the original packaging. Customers do have the scope of submitting request for order cancellation at any time prior to the shipment. Product delivery normally takes 3-5 days and all products are well packed before forwarding for shipment. Customers have the chance of getting discounts on their purchase on accessing any of its coupon code. iDream jewelry is a commercial platform from where customers can buy matching couples rings of various prices and shapes. It also offers free engraving services to the customers. To know more customers must log on its site. Silver is a versatile metal with a soft luster that makes for beautiful jewelry. Unfortunately, silver is also pretty fragile compared to many more commonly-used metals, and it can quickly develop tarnish, stains, or scratches. It can also be a bit intimidating to try to clean silver pieces because they are so delicate. However, you don't have to be a professional or use expensive tools to clean your silver yourself. 1. Pour two cups of hot water into a bowl. You just need enough to cover the jewelry you're cleaning. This method works as a gentle cleanser that removes tarnish without abrading the silver. If your silver is lightly tarnished, the salt bath should take the tarnish right off. If you're cleaning a lot of jewelry at once, you can use more water. For just one piece of jewelry, use less water. If your jewelry has gemstones, make sure they won't be affected by being submerged in a saltwater solution. This solution is gentle on most stones, but if you're cleaning very fine jewelry with expensive gemstones, you're better off taking it to a professional just in case. 2. Add salt and aluminum foil. Stir one tablespoon of salt it into the hot water with a spoon until it completely dissolves. Take a sheet of aluminum foil and tear off a few strips, then put them in the bowl. The combination of salt and aluminum will react with the tarnish on the silver's surface and create a bright, shiny surface in place of the tarnish. Tarnish happens when the surface of silver combines with sulfur and turns into silver sulfide, which is black. When silver sulfide reacts with aluminum in a salt solution, the chemical reaction between the substances turns the silver sulfide back to silver. The reaction happens faster when the solution is warm. If you don't have table salt on hand, you can use baking soda instead. It has the right properties to facilitate the same chemical reaction. 3. Submerge your jewelry in the solution. Allow it to sit for 5 minutes. Stir it around a bit to see whether the tarnish is going away. When you see that the silver's shine has been restored, remove the silver from the solution. If you're working with deeply tarnished silver, you might need to repeat the process two or more times. Make sure the solution is completely heated, since the reaction is much slower if the solution is cool. 4. Rinse the jewelry. Run it under cool running water to rinse off the salt, then gently dry it using a soft cloth or microfiber towel. The jewelry should be good as new. If you still see signs of tarnish, repeat the process until it looks clean. 1. Purchase a silver polish. When tarnish develops on silver, a simple salt and aluminum bath may not suffice to remove it. Specially formulated silver jewelry polishes are your safest option for polishing silver jewelry, especially if you are dealing with an antique or a piece that has intricate designs etched into it. Even special polishes can remove a layer of silver, so get a professional cleaning if you're dealing with a delicate piece. Instead of buying silver polish from the drugstore, consider getting it from a jewelry store or a store with a high-quality jewelry department. 2. Rub the jewelry with a little polish. Moisten a soft silver-polishing cloth or the sponge included with the silver polish and take a little bit of polish onto the cloth. Rub the polish into the silver jewelry gently. Use only a straight-line, back-and-forth motion. Avoid scrubbing or rubbing in circles, since this can leave scratches or patterns in the surface of the jewelry. Just let the polish do the job. 3. Rinse and dry the silver jewelry. Rinse it under cool running water. Be sure to clean off all of the polish residue so it won't continue working on the surface of the jewelry. Dry it completely using a soft cloth. 4. Consider using common household products for less rare or less valuable pieces. They will usually work to remove tough tarnish, but may cause damage such as pock marks or scratches. Try them at your own risk. Try toothpaste. Select a plain white toothpaste without the special whitening options. Take a soft, dampened cloth or a damp sponge and put some toothpaste on it. Gently rub over the silver jewelry in straight, back-and-forth motions. Be very gentle, and if you notice scratching at any point, stop and rinse the toothpaste off. As the cloth or sponge becomes dark with tarnish, add more toothpaste to a clean part of the dampened cloth/sponge and continue gently polishing. Rinse thoroughly with warm water and dry with a soft towel. Baking soda may remove stubborn tarnish, but don't use it unless you don't mind the risk of damaging the silver. Make a paste of baking soda and warm water, gently rub it into the surface of the jewelry, and rinse when the tarnish is removed. 5. Try a silver dip. Commercial silver "dips" can dissolve stains without rubbing the silver jewelry, although they may take off a layer of silver. For this reason, they should only be used as a last resort. Contrary to what the word "dip" implies, professionals rarely actually soak silver in these products, at least not for long. Dips are generally harsh, potentially dangerous chemicals, so follow the directions carefully and consult a professional when in doubt. 1. Clean it often. How to maintain your jewelry's beauty and shine? Clean your silver jewelry often, and clean it promptly after use. Silver jewelry that is frequently used rarely has tarnish problems. When tarnish is not yet present, or when it's just beginning to develop, simply wash your silver jewelry in warm (not hot) water with a gentle, phosphate-free detergent. Prompt cleaning is especially important when the silver jewelry has been exposed to certain foods containing sulfur, or those which are acidic or salty. In particular, common foods such as table salt, eggs, some fruits, onions, mayonnaise, and vinegar are harmful to silver. In any case, wash your silver jewelry right away or at least rinse it well with warm water, and don't leave silver sitting in dishwater that may contain traces of these foods. 2. Wash it separately. It's a good idea to wash silver separately from your other silver pieces, like bowls or silverware, because metal sinks and utensils can scratch silver jewelry. You should also avoid using rubber gloves when washing silver, as rubber corrodes silver jewelry. Stainless steel can also damage the finish if it comes into contact with your silver jewelry, so avoid putting it in the sink; use a bowl to wash it in instead. 3. Dry it with a polishing cloth. Use a special polishing cloth or simply a soft, lint-free cloth to gently rub the silver clean after washing. Make sure it gets completely dry. Silver can be so soft that even using a scratchy, rough towel could be enough to make indentations in its surface. Make sure to use a soft cloth. As you dry the jewelry, gently buff the shine back with a soft cotton cloth. Wrap each piece of silverware in acid-free tissue paper or anti-tarnish paper. You can also wrap pieces in flannel. Store the silver in a compartment separate from the rest of your jewelry. Never store silver jewelry where it can contact rubber, stainless steel, or paint. It’s easy to clean tarnished silver without taking it to a professional. This video shows how to polish your pretty pieces in a snap. Rinse the silver in warm water. Blot your jewelry dry with a soft cloth. There are a few different products that can be used to remove tarnish. If using a silver-cleaning cloth, rub the piece gently, with a back-and-forth or up-and-down motion (not in circles), moving the piece to a clean portion of the cloth as the tarnish comes off onto it. Continue until no more tarnish rubs off onto the cloth. If using a silver-cleaning fluid, let silver sit in the liquid and swish around for a few seconds. Pat dry with a cloth. Tip: Silver cleaner won’t harm gold and platinum, but it won't clean them, either. For jewelry with engraving or other intricate designs, work a little silver-cleaning paste or polish into the grooves with a cloth or, very gently, with a wet, soft-bristle toothbrush. To clean the main surfaces of the piece, rub gently with a back-and-forth or up-and-down motion (not in circles), rinse, then blot dry with a clean, soft cloth. How to Maintain Your Jewelry's Beauty and Shine? If you feel uncertain about cleaning your jewelry or you have tried and you still don't feel it's as clean as you would like it to be, you are welcome to bring your items in to either of our locations, and a member of our jewelry staff will be happy to clean and polish your jewelry (charges may apply). Also, feel free to stop into either of our locations and ask for a complimentary bottle of our jewelry cleaner. iDream's jewelry cleaner is safe for: gold, platinum, silver, diamonds, rubies, sapphires, and other non-porous gemstones. In between visits to iDream Jewelers, here are some helpful hints for cleaning your jewelry at home. Keep in mind, not all jewelry and gemstones are alike and some items may require different cleaning methods. If you are uncertain, feel free to ask us. What is .925 sterling silver? Sterling silver is a soft, malleable metal and can be easily scratched or damaged. Therefore, when cleaning silver jewelry, use polishes that are specifically formulated to remove tarnish from silver jewelry. Some companies provide polishing cloths, silver storage pouches, or both with the purchase of their jewelry. Also, avoid exposing your silver jewelry to harsh chemicals, bleach and chlorine, as these can damage the silver. Platinum is a popular choice for engagement rings and wedding bands because of its natural durability and strength. Platinum does not loose its color, such as with white gold, and the metal does not wear away over time. However, platinum can scratch, loosing its natural shine and developing a patina over time. If you miss the shine your platinum ring had when it was new one of jewelers can polish it and restore its original shine. One of the best features of tungsten is its strength and its resistance to dulling and scratching. While tungsten rings and jewelry are very strong avoid storing them with diamonds, as diamonds are the only things that can scratch tungsten. Also, despite being fairly maintenance free, tungsten wedding bands and jewelry should be cleaned every couple of months, or so. 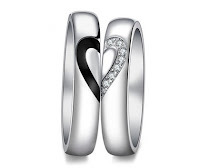 Shop our tungsten carbide wedding bands collection. If you've ever sent jewelry somewhere, you know how tense it can be. However, there are a few simple precautions that can make the experience less stressful. Package your jewelry securely in an appropriately sized box. When possible, use a box designed to hold the specific type of jewelry you are sending, since this will hold it securely. Otherwise, wrap each piece individually in cloth, not plastic, and fill empty spaces in the box to keep the jewelry from shifting too much. Use a shipping method that allows tracking, such as UPS or FedEx, so you'll be able to know when it gets to its destination. Buy insurance, especially for extremely valuable jewelry. It costs a little, but it can make the sting of lost jewelry a little easier to bear. Jewelry is vulnerable while it's being worn, but it can also suffer damage if it isn't stored properly. Diamond is the hardest substance on Earth. So how does a diamond get scratched? By another diamond. Diamond jewelry can also scratch softer stones as well as gold and even platinum. For this reason, it’s important to store your jewelry so the pieces don't come in contact with each other. iDream does not recommend that you repair your own jewelry unless you have been professionally trained to do so. Take damaged jewelry in for professional repair as soon as possible, especially if small pieces like stones or links of chain have fallen out – the longer you wait, the more likely small pieces will be lost. Your local iDream store offers a range of repair services. Cleaning gemstones is easy. Simply soak the piece in a bowl of warm, soapy water for several minutes and then use a soft, non-metallic brush to remove any grime. If you use a jewelry cleanser, make sure it is non-abrasive. Don’t use harsh chemical cleaners, and don’t clean the item in the sink too often it ends up down the drainpipe. Also keep in mind that some gemstones may have been treated or enhanced by heating, oiling, irradiation or diffusion. Heated and irradiated stones generally don’t require special care when cleaning, but diffused stones could become lighter if scrubbed too hard. Also, the oil on an emerald can be stripped away by cleaning, making the emerald change appearance. If this happens, simply bring it to your jeweler for re-oiling. For mountings, you can use rubbing alcohol to dissolve some of the stickier grime. However, don’t use alcohol on any kind of pearl jewelry. Soap and water and a soft brush will take care of most of your cleaning needs. Make sure the brush is VERY soft when used on metal, especially gold, which can be scratched relatively easily. Use a soft cloth that won’t leave fuzz or threads behind to dry and buff your jewelry once it's cleaned. Ultrasonic cleaners are machines that clean jewelry by bombarding them with sound waves. This vibration shakes off dirt, but the vibrations can also cause serious damage. The inclusions in gemstones, especially brittle stones like emeralds, can be greatly enlarged by the shaking, making the stones less attractive and even less valuable. Soft gems like pearls should never be put in an ultrasonic cleaner. Because of the risk, we recommend against using the ultrasonic cleaners now available to consumers unless your jeweler specifically says it won’t cause any damage. At iDream our fine jewelry is crafted to last a lifetime, however with normal wear proper care is required to keep it looking good. As a result we've created this Basic Jewelry Care Guide to direct you in the proper care of your jewelry. We hope that you'll find these guidelines helpful and if you have any further questions don't hesitate to contact us via email at idream-jewelry@hotmail.com. Contact Sports and Jewelry Don't Mix – Hard blows during sports can damage jewelry not to mention the people involved. All jewelry should be removed before play begins. Remove Your Jewelry Before Bathing - Remove all jewelry before showering or cleaning. Soap can cause a film to form, making it appear dull and dingy. By preventing the formation of this film you immediately reduce the occasions of servicing. Avoid Cleaning Damaged Jewelry - Never clean any jewelry that is damaged, cracked or broken, since the additional handling is likely to exacerbate or worsen the problem. If you find that a piece of jewelry is damaged, it should be set aside for repair as soon as possible. Inspect Your Jewelry Regularly - Just like anything else, an ounce of prevention is worth a pound of cure. When having your jewelry professionally cleaned, it's a good idea to have each item checked and inspected for any possible problems. Addressing signs of damage, or loose gemstones will prevent any further damage or loss and keep all of your pieces in excellent shape for years. Prevent Damage to Your Jewelry - Prevention is the best way to prevent the necessity of repair, so a regular inspection is the best way to minimize potentially costly repairs. You can perform a simple inspection every two to three months to ensure that the condition of your jewelry is good and prevent a small problem from becoming a big headache. Look for Reviews and Referrals - When deciding on a jeweler to perform your jewelry repairs, look for reviews of their work and ask for referrals when appropriate. Furthermore, taking a few moments to ask questions of the jeweler is a wise investment that should pay off with a good jewelry repair experience. Jewelry Repair Pricing - When jewelry repair pricing is being quoted, it's wise to ensure that these figures are being quoted from a price book rather than off the top of someone's head. When a jeweler takes the time to publish their prices, it's clear that they have extensive experience and have thoroughly researched their investment of time and materials to complete the job correctly. Observe the Jewelry Take-in Procedures - A clear description of how an item is to be repaired is the key to a successful repair. Closely observe the jewelry take-in procedure when the repair is being explained. The issues with each piece being repaired should be well documented using descriptions and drawings to ensure that the repair will be done correctly the first time. Inspect Your Jewelry at Pickup - When picking up your jewelry, it's important to thoroughly inspect the work performed. Before accepting the piece of jewelry, first make sure that it is the correct item. Next, make sure that the repair was performed as requested. Lastly, ensure that the entire piece was cleaned and polished. After all, this should be the expectation of every professional jeweler that performs jewelry repair. Keep Your Jewelry Secure - Store your jewelry in a container and prevent pieces from moving around. While fabric-lined jewelry boxes are ideal, this can be as simple as using a shoebox and pieces of fabric. Prevent Your Jewelry from Tarnishing - Sometimes jewelry tarnishes went it's not worn, especially silver and gold. To maintain the luster of your jewelry, place silver anti-tarnish strips in your storage container to absorb the oxidants that discolor and tarnish jewelry. Inventory Your Jewelry - Unfortunately, jewelry can get lost or stolen. Taking a regular inventory can be incredibly useful when making an insurance claim or filing a police report. A photograph, a written physical description of each piece and it's cost is ideal. Furthermore, store that information apart from your jewelry in the event it is taken too. When Travelling with Jewelry, Use a Case - Travelling can be tough on jewelry, so it's wise to use a travel case to protect your favorite pieces. Traditionally made of fabric or leather, a jewelry travel case can carry jewelry of all types and easily rolls up to a size that's easily stored in most suitcases, makeup cases or business attaches. Clearly, a case like this is a good investment to protect your jewelry on the road. 1. Use Two Boxes: An Inner Box to Hold the Jewelry and an Outer Shipping Box.